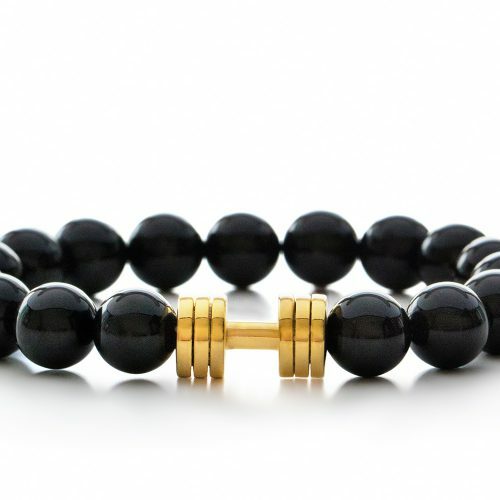 Each bracelet is handmade by our team creating an elegant combination of Black Onyx stone and 24K Gold plated dumbbell pendant. 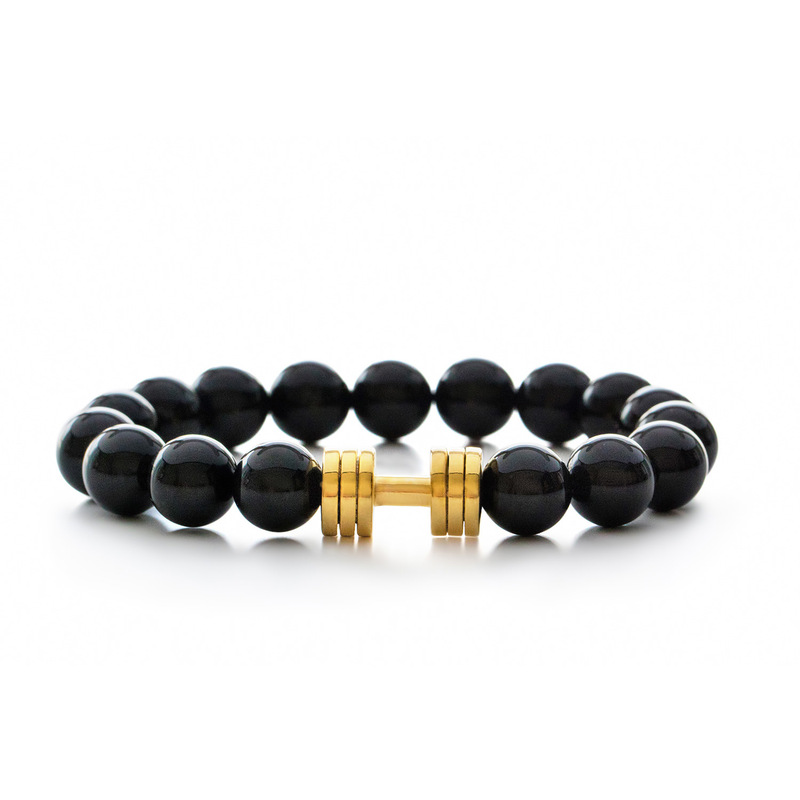 This bracelet represents intuition, brings positive energy and will become your favorite motivational accessory. 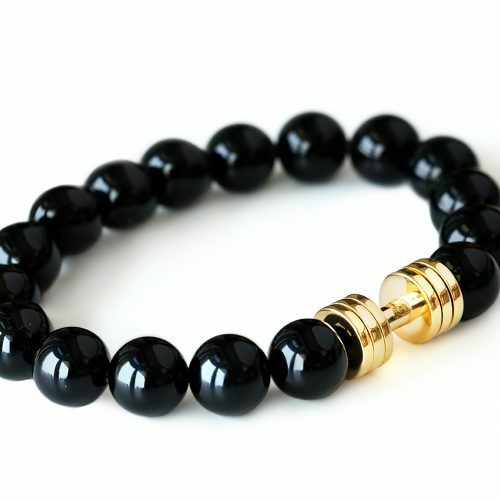 Item is made of natural high-quality Black Onyx stone beads and 24K Gold plated dumbbell. Each bracelet is handmade by our team, wherein we put three rows of strong elastic cord through the beads to ensure longevity. 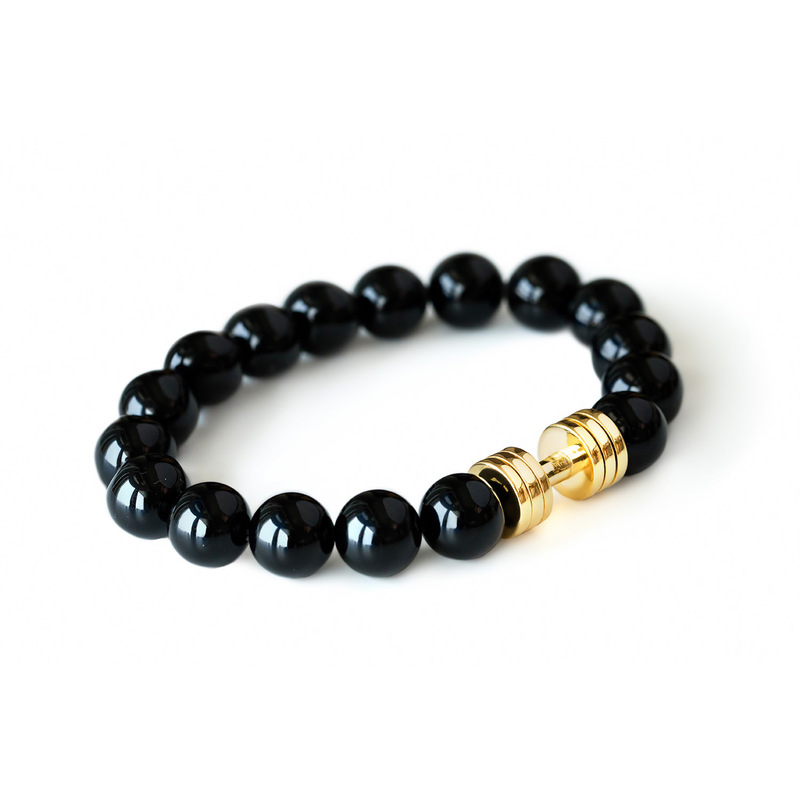 Black Onyx stone is known by its effect on releasing the negative energy, sharpening your senses and encourages healthy egoism. 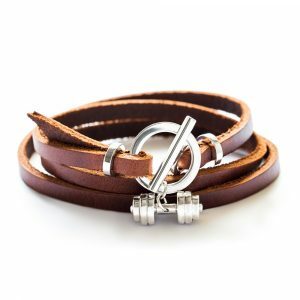 As well, it is believed to have an effect on self-control and decreasing bad habits, which makes FitSelecetion’s bracelet a perfect solution for all of those who decided to change their lifestyle and become healthy and fit. The dumbbell is plated with 24K Gold to ensure is long lasting and non-irritating even to sensitive skin. 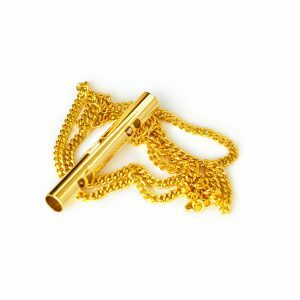 Standard bracelet size will easy fit 7-8 inches wrist, however, contact us directly in case you would require the customised size of the bracelet. 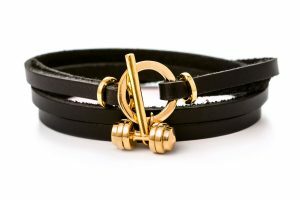 The bracelet comes presented in an elegant FitSelection box, making it an ideal motivational gift for your favorite spotter, encouragement for your friend or family member to improve life habits or a nice treat for yourself.